George Street was just outside the city, and there used to be a lane outside the city wall, and then a deep man-made moat or ditch (known as the Candida Fossa or Canditch) which ran along the back of the present shops on the south side of George Street (and also along the present Broad Street), thus completing a circuit of flowing water around the city walls. An intact section of the north side of the city wall runs between Bulwarks Lane and New Inn Hall Street. 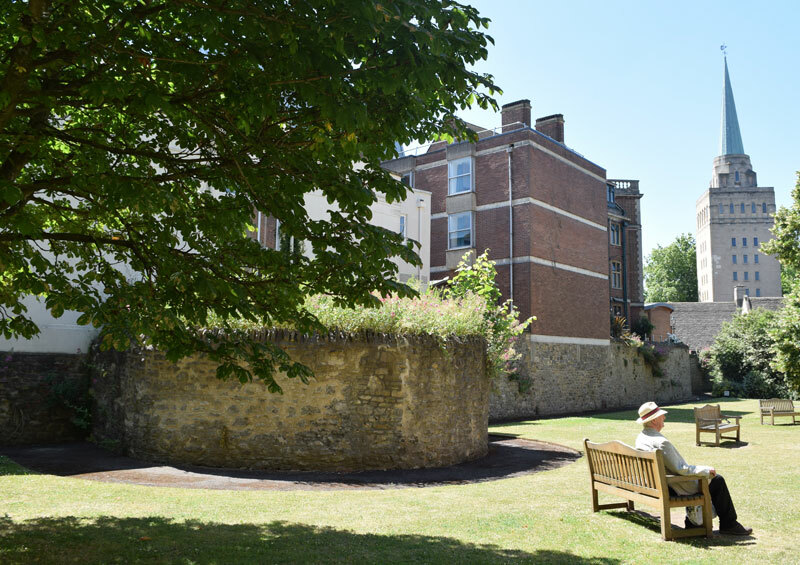 It starts at the sharp corner of Bulwarks Lane and George Street Mews that marks the point where the lane branched off from the original castle wall. Today it forms the boundary of the former City of Oxford Boys’ High School. This part of the wall is Grade I listed (List Entry No. for the section east of the bastion is 1046609, and for the section west of the bastion 1369704). 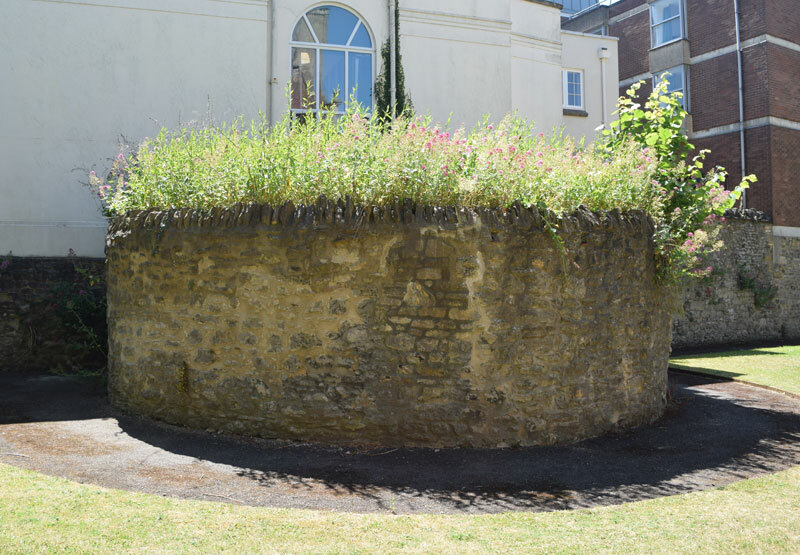 This bastion is in the centre of this section of wall, and is Grade I listed (1184380). It was discovered in 1870 by workmen digging the foundations for the Wesley Memorial Church in New Inn Hall Street. The back boundary all the properties on the north side of St Michael's Street corresponds to the line of the wall. There is a portion of the city wall left behind the Vanburgh House Hotel at 20–24 St Michael’s Street. This is behind 28–32 St Michael's Street and is Grade II listed (List Entry No. 1047120). No photograph has yet been obtained.